First the thundering of the hooves, then the thumping of my heart. Here they come! 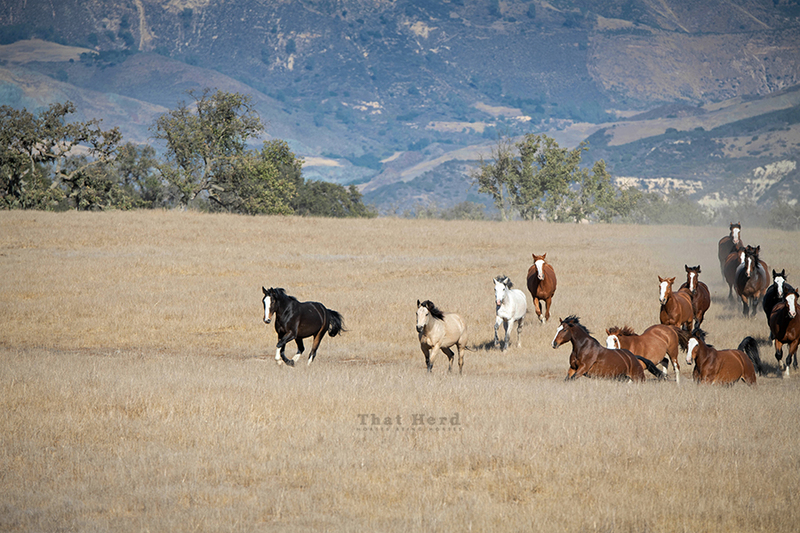 Bands of galloping, bucking, leaping steeds, one after another until they all circle around. Wheeling and lunging to and fro, they are magnificent. A charge of horses rushes in to investigate.